Frequently Asked Questions | Penrith BID - Improving the economic potential of Penrith, Cumbria. Please see below for some frequently asked questions regarding the BID and how it works. Simply click on the relevant question to view the answer. If you have a question that we have haven’t answered below, please get in touch and we will be happy to help. If you are not a levy payer, but have a business within the BID area and you would like to benefit from our range of services which are ‘free to members’ you can buy an annual BID membership. Please contact admin@penrithbid.co.uk for more information. A business improvement district (BID) is a defined area, whose businesses pay an additional amount (or levy) on top of their business rates, which is used to fund projects within the district's boundaries. BIDs can also draw on other public and private funding streams. 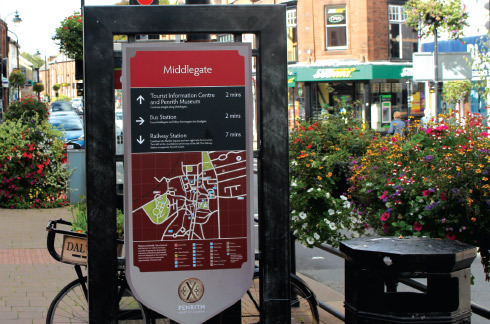 BIDs can also provide services, such as cleaning streets, providing security, making capital improvements, enhancing the streetscape and marketing the area – services that are in addition to what the local council provides. There are now more than one hundred BIDs across the UK – in town centres, industrial estates, business parks and other zones where businesses saw the need to have one. BIDs can only be created if voted in by the businesses that would be part of it. Once established, BIDs have a mandate to run for five years, after which businesses get to vote again on whether it should continue for another five years. Penrith BID was first established in April 2013 after a vote among businesses in the BID zone. This was then revoted in 2017. The idea behind business improvement districts isn’t new. They began in Canada in 1970, and went on to be adopted by many other countries. After many years of success elsewhere, the UK Government decided in 2001 to introduce legislation to create BIDs funded by an additional charge on the business rates, to be agreed together by local businesses and councils. Why is a BID needed? In 2012 the town’s businesses voted by majority to establish a Business Improvement District (BID) to invest collectively in a five-year programme of improvements that would help businesses in the town centre to survive a perfect storm of low economic growth, fierce price competition between the supermarkets and the rapid growth in online retailing. 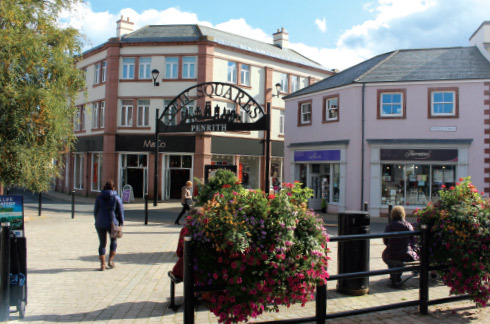 The convergence of these social trends and economic circumstances have presented Penrith town centre, and high streets throughout the UK, with a set of challenges that are largely being driven by external factors, and mostly beyond the control of local businesses. To respond to these challenges is not easy, there are no easy solutions and the BID has no magic wand to put it all right. The BID can, however, help local businesses collectively to be more resilient to these difficult circumstances, and more adaptable to the technologically-driven changes affecting consumer behaviour and choices. 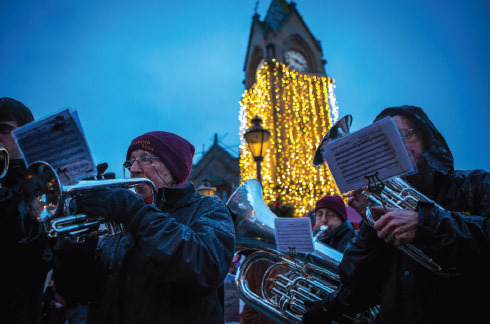 Since 2012 the Penrith BID has raised the profile of the town, projecting a positive image and greatly enhancing the appearance of the town centre. But, the current BID is approaching the end of its five-year term and will require a fresh mandate from the town’s businesses in order to build on the progress being made. 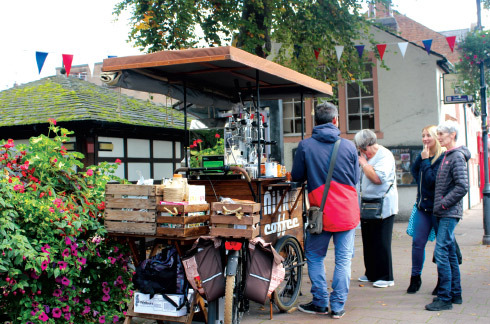 A second BID term will bring a fresh, ambitious and relevant programme of work, that offers the opportunity to take Penrith town centre from being a place that is surviving to a place that is thriving. The income required to deliver a 5-year programme of projects and activities within the Penrith BID area will be mostly, but not entirely, drawn from the BID Levy. A levy based on 1% (one percent) of rateable value will be charged to each qualifying ratepayer using the most current Non-Domestic Rates list to calculate the amount payable. The BID levy will be set by 1st March for the full 5-year term of the BID. The Penrith BID area includes 375 hereditaments, and over 90% of levy paying businesses will be required to pay a levy that’s either equivalent to, or less than, £1 per day. Additionally, more than a quarter (27%)2 of the total business premises in the BID area will be exempt from the BID levy due to their small size. The BID’s funds will not be limited to income derived from the BID Levy. The BID can expect to raise further funds from sponsorship & advertising revenue, and voluntary contributions. Levy payers can reasonably expect that the new Penrith BID will continue to attract additional funds towards specific items or activities identified within the programme of projects delivered through the Business Plan. Voluntary contributions could also help, for example, by encouraging businesses below the £4,000 RV threshold to make a small contribution to the BID each year. Several are already coming forward because they can see the value in businesses working together. Who pays for the BID? A levy of 1% (one percent) of Rateable Value will be charged to each qualifying ratepayer using the most current Non-Domestic Rates list to calculate the amount payable. The BID levy rate will be set on 1 March 2018, with the levy rate calculation based on the most current Non-Domestic Rates list. The BID levy rate calculated for each individual hereditament may also be updated because of changes in ratepayer, appeals, additions or removals. The BID levy will have to be paid by any new ratepayer occupying any existing hereditaments within the BID area (Map refers) up until the end of the 5-year term, even though they did not vote on the initial proposal. Likewise, any new rateable premises (hereditament) created during the lifetime of the BID will be liable for the BID levy, subject to those premises being wholly within the BID boundary and not qualifying for exemption. If a business ratepayer occupies premises for less than one year, the amount of BID levy payable will be calculated pro rata on a daily basis. The BID levy will not be affected by a ratepayer’s eligibility for Small Business Rate Relief or Charitable Rate Relief and there will be no discounts. The registered non-domestic ratepayer will be entitled to vote and obliged to pay the BID levy with no void period. Premises with rateable value of less than £4,000 will be exempt from any liability for payment of the BID levy. How do you calculate how much each business must contribute? The cost to each business will be proportionate and equitable. The levy rate will continue to be a simple calculation based on 1% (one percent) of the property’s most current Rateable Value at 1 March 2018. The cost of the BID will reduce in real terms during the 5-year term of this proposed new BID. There will be no inflationary increase with any additional costs being met, where practicable, through efficiency savings. Collection and enforcement arrangements will be very similar to the collection and enforcement of the Non-Domestic Rates. The BID levy will be collected on behalf of the Penrith BID operating company by Eden District Council. In compliance with the Business Improvement Districts (England) Regulations 2004, the levy funds will be placed into a ring-fenced ‘Revenue Account’ and transferred to the Penrith BID operating company for the purposes of delivering the Penrith BID business plan 2018-2023. There will be an administration cost for the collection of the levy which will be charged to the Penrith BID operating company. To keep collection costs to a minimum each hereditament will be billed annually and this will normally be payable in a single instalment. How is the BID managed? The new Penrith BID from 1 April 2018 will be managed by a new BID operating company. This will be a not-for-profit company limited by guarantee with a board of directors drawn from, and representative of, the diverse business and organisational interests within the BID area. All businesses eligible to vote in the BID ballot will be invited to nominate themselves or other eligible persons to be considered for directorship of the BID company, and oversee the delivery of the BID in the coming years. The BID operating company, and its board of directors, will be accountable to the BID levy payers for the delivery of the Penrith BID business plan 2018-2023 and adherence to the proposed BID arrangements set out in the BID proposal and business plan documents. The board of directors will meet regularly throughout the term of the BID. Every levy-paying business will be eligible to become a member of the Penrith BID operating company and vote at Annual General Meetings on the activities of the BID company. The BID operating company will commission through an open and competitive process the services of a BID management person/company to manage the day-to-day operations of the BID, and to develop communications and working relationships with the levy payers, sponsors and partner agencies to secure the effective delivery of the BID’s programme of activities. The boundary of the Penrith BID area and the levy rate cannot be altered without an alteration ballot. However, the BID projects, costs and timescales may be altered from time to time, and as may be necessary, provided that such alterations are subject to majority decision by the board of directors of the Penrith BID operating company. Such alterations must be subject to such changes falling within the income of the BID, and must not compromise in any way the fulfilment of the BID’s aims and objectives, as stated in the BID business plan 2018-2023. How will you determine how well the BID is doing? The performance and effectiveness of the BID will be carefully monitored and reviewed periodically. For example, a number of adjustments were made following the last review in 2016 in response to comments received from levy payers. Managing a BID is a process of continual improvement, seeking to build on successful activities and occasionally bringing those that are less effective to an end. Key performance indicators are used to measure the outputs of specific activities, for example, the numbers of people attending and spending money at an event, as well as numbers visiting the town centre, for example monitoring car park usage. Each project area identifies the indicators that will be used to continually assess and review performance of the BID’s activities. How long will the BID last? The renewed Penrith Business Improvement District will commence on 1 April 2018 and will last for a period of 5 years. To extend this period requires a further ballot and this would be subject to the same regulations including the requirement to secure a majority vote in favour of any such proposal. There are currently no limits on the number of renewals. Get in touch to discuss what is expected of a BID member and what you would like to achieve. I have a project that I think will interest the BID, how do I go about it? Fill in our Application form and send it through, we will be happy to discuss your project. How do I enquire about my bill? Those of you who run and manage businesses and organisations in our town centre have told us what you expect from the BID. The BID Proposal was a direct response to your priorities. Penrith BID is an initiative that many of the town’s businesses are already very proud of. This new proposal builds on the successes of the first 5 years, but also addresses its weaknesses. The BID has helped the town centre through some extremely challenging years and there will be more challenges ahead as retailers and service providers continue to adapt and redefine how they do business. The BID really does matter because it is a valuable tool that can be reactive as well as proactive. The BID is already helping the town to become more appealing to new businesses as well as visitors. When shops and offices become vacant it is important that they are filled again, and the BID is already making a significant contribution to the impression that people have of Penrith town centre: “a well-managed, well looked-after town where businesses and the community work together to release their potential”.